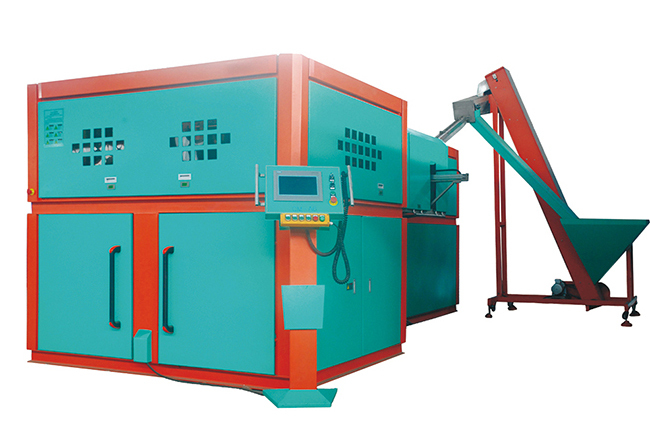 5000-6000BPH Six Cavity Automatic Pet Blow Molding Machine stable performance with advanced PLC.Strong penetrability and good and swift distribution of the heat by letting the bottles ratate by itself and revolute in the rails simultaneously in the infrared preheater. It is suitable for producing PET plastic containers and bottles in all shapes. It is widely used to produce the carbonated bottle, mineral water, pesticide bottle oil bottle cosmetics, and hot fill bottle etc. Note All of the electrical components adopts CE,UL,CCC approved international advanced high-tech product.